Sega released Phantasy Star Online 2es on the Google Play Store. Unfortunately the game requires a VPN and Japanese Google account to bypass the Play Store’s region-lock. However Synth has made his .apk file available for all to download. PSO2es has left open beta and has now officially launched. Read the smartphone version guide to catch up on the latest information. AC Services Enabled including AC Scratch! AC Purchases requires a Google Play account. [Premium] Partial support for the Emergency Quest Advance Notice feature. Corrected the bug that allowed the Mag Photon Blast and Auto Actions to get overwritten. Compensation will be distributed at a later date. Corrected the bug wherein Cast female breasts were not displaying at the correct size. There’s currently a bug making accessories not show up properly if the character has Bask Repca outfits equipped. Toro and Kuro’s mag icons are currently not displaying. The reindeer suit is currently bugged out making your character appear faceless, in a swimsuit. The application may force quit upon pressing the back button when entering text with certain combinations of the OS keyboard and IME applications. Concerning [Error Code 110], Sega identified the source of this bug and is in the process of correcting it. Sega is currently investigating the [Unable to communicate to the server] error messages. Sega has determined the Assault Rifle PA [One Point] is currently overpowered. They plan to nerf the offending PA in the future. Since swords are prone to missing their targets, Sega will buff Sword chips in the future. 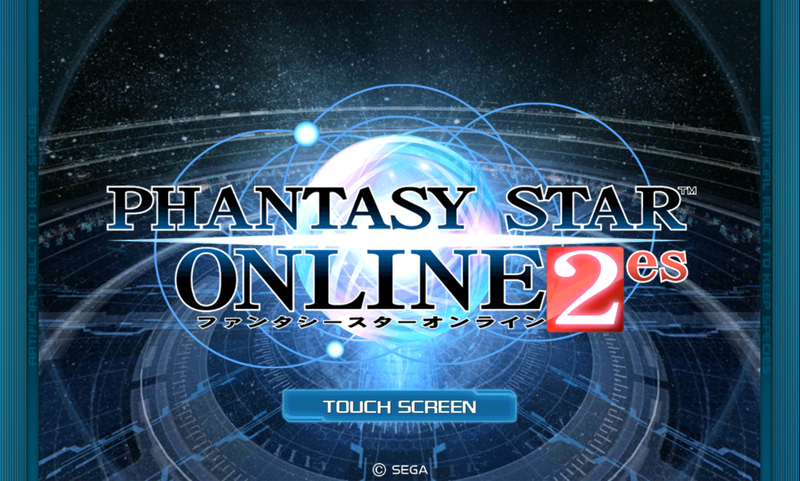 The PSO2es Open Beta has officially begun! 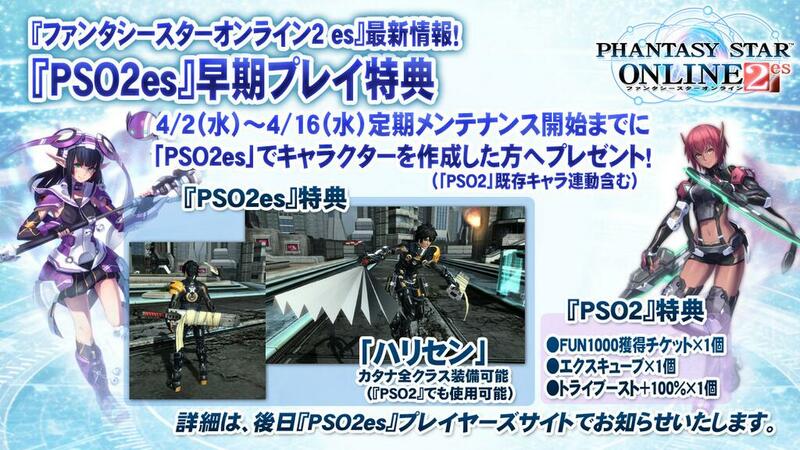 To commemorate the launch of the Open Beta, players will be given a prize if they created a character within PSO2es. This also includes PSO2 characters who were imported into PSO2es. If you have several PSO2 characters, they can all qualify for the prize. (1) will be distributed through your PSO2es in-game mail service. Which brings us to our next point… When you win prizes for PSO2es, they’ll be sent through your in-game mail with an item bag icon to the side. In fact, if your linked PSO2 character reached level 10 or 20, you will be receiving Rappy Medals after the tutorial. And finally, Rappy Coins have changed into Rappy Medals for the Open Beta.